Bekah Miles was diagnosed with depression in 2014 when she was 20-years-old. At the time, she was studying psychology at George Fox University. The depression made Bekah feel like she was trapped. She did not know how to express her feelings to those who were close to her. One day while she was in class, Bekah's professor opened up about her own struggles with depression. Bekah was inspired by her professor's story. She began to realize that she was not alone. She also realized that even though it may seem as if someone has a lot going for themselves, they may still suffer from depression. The professor's story encouraged Bekah to finally get the help that she needed. She was also inspired to get a tattoo. 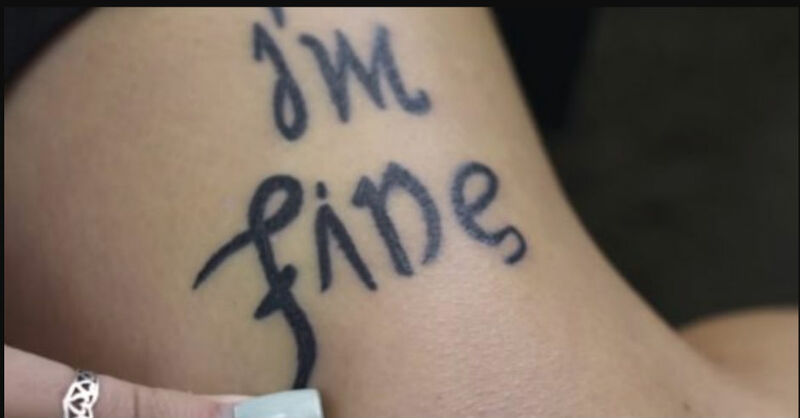 Bekah got a tattoo that says "I'm Fine." However, if you look at the tattoo at another angle, then it says "Save Me." The tattoo symbolizes the daily battles of someone who is suffering from depression. Bekah now speaks openly about her battle with depression. She has become a voice for people who are suffering from depression. She encourages people with depression to open up to others and get the help that they need.